The gung-ho Toybank team assembled at the Hamara Foundation Centre at Bombay Central on the 25th of August to spend some fun time with the children there and to distribute toys. 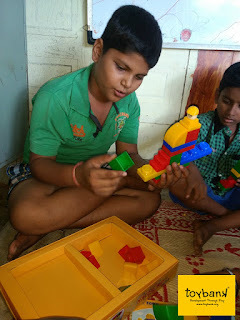 The children had a wonderful time, singing songs and playing small games with us like word antakshari, dumb-cheraz etc. Later on the children were taught how to make Gandhi caps and Cricket caps out of newspapers. 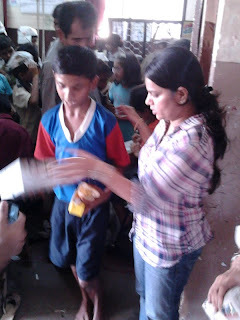 The children had a gala time interacting with the volunteers and preparing caps for themselves. "This is the very first time I have attended an event like this. I thank Toybank for giving me a chance to interact with such wonderful souls. Toybank is doing a great job! I had tears of in my eyes, when I saw all the children's faces glowing with happiness. I would love to attend more of such events in my free time." 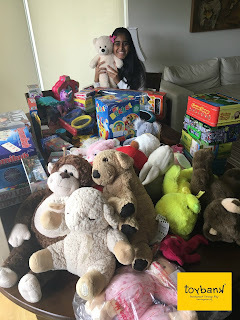 Thank you to our Toy donors Sumangali and Dr. Vincent DeSa, for donating such wonderful toys which were used for this event. Check out the pictures of the event here.